If you are out celebrating tonight enjoy and stay safe. 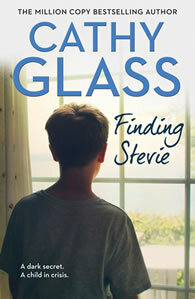 When my first fostering memoir was published in 2007 it broke new ground. No one before had dared to write about the hidden sometimes secretive world of fostering and the social services. Ten years and 26 books later. How time flies! I feel I have come on a long journey with my companions – all of you. Some of you were there right at the start and I feel I know you as you know me. As you have shared my life’s journey so I have shared many of your life experiences. It doesn’t matter that I have never met you, we communicate and share like old friends. I have been there during your ups and downs, laughed at some of your funny stories and revelations, and cried at your sad news or when life dealt you a cruel blow. You often say you feel you are part of my family. I feel I am part of yours too. One big happy family that embraces many different countries, races and cultures. For us when we chat on Facebook, tweet or email we are one. Sometimes you send photographs and I am very moved, sadly I can’t reciprocate as I have to maintain my anonymity to protect the children I foster. Another week in the UK To Ten! Ten weeks in the UK Top Ten! Cruel To Be Kind has now spent 10 weeks in the UK paperback charts. Thank you for all your lovely comments and reviews. Nine weeks in UK Top Ten! Eight weeks in Top Ten paperback chart! I’m really pleased to tell you that Cruel To Be Kind remains in the UK top ten for an eighth week. It’s lovely that this young boy’s story has touched so many. Thank you for all the wonderful reviews. 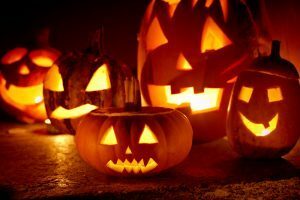 If you are celebrating Halloween, stay safe and have a good time. Seven weeks in UK Top Ten! Just heard that Cruel To Be Kind remains in the UK Top Ten for a seventh week! Thank you for all your lovely reviews and comments. Just heard from my publishers that Cruel To Be Kind remains in the UK Top Ten bestseller charts for a sixth week! Fantastic that Max’s story has reached so many. Thank you for all your lovely reviews. Just heard from my publishers that Cruel To Be Kind is no 3 again in the UK bestseller charts. 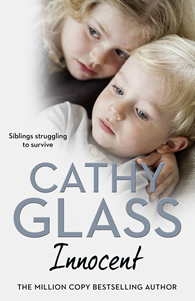 Very pleased to say that Cruel To Be Kind has retained its no 3 spot in the UK bestseller list. I am so pleased that Max’s story has touched so many. Thanks again for all your lovely reviews. Happy to say that Cruel To Be Kind is still in the UK bestseller list, this week at no 3. Thanks for all you lovely reviews on Amazon, Goodreads etc. They are read. Just heard from my publisher that Cruel to Be Kind has gone straight into the paperback bestseller charts at no 2. I am so pleased that Max’s story has reached so many, thank you. Cruel To Be Kind out now! Happy publication day! Cruel To Be Kind is out now in paperback, e-book, and Audible – worldwide. I do hope you enjoy Max’s story. Part 2 e-book out now. Part 1 e-book out now. 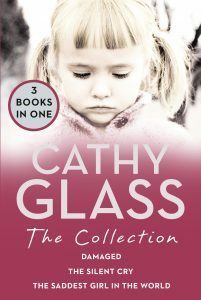 I have been contacted by readers who have bought books online that show the author as Cathy Glass but are not by me. Please check on my website if you have any doubts. On the Books page is a complete list of all my books. If the book isn’t there it is not by me. Please pass on this message. Thank you. Happy Independence Day to all my friends in America. Ten weeks in the charts! Just heard that Nobody’s Son is still in the bestseller lists. Thanks to all. 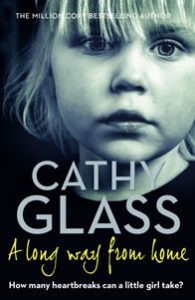 My next fostering memoir, Cruel To Be Kind, will be published in September. Alex’s Story – Nobody’s Son. I hope you have a lovely Easter weekend. Just heard from my publisher’s that Nobody’s Son is in the UK Top Ten bestseller charts for yet another week. I am so pleased Alex’s story has reached so many, thanks to you. My thoughts are with those who have suffered in the terrorist attack on Westminster today. Another week in the Top Ten! Wonderful news. Nobody’s Son remains in the UK Top Ten bestseller charts for another week!. Thank you for all your lovely comments and reviews. They are read, not only by me but my publisher too. WH Smith (UK only) for a limited time are selling a hardback collection of 3 of my books in 1 for only £6. Normal price £25. It looks good and would make an excellent gift. Just heard from my publishers that Nobody’s Son remains at no. 1 in the UK bestseller charts for another week! Thank you for all your lovely online reviews. They are read and very much appreciated. So pleased. A new book to share with my friends in France: http://www.archipoche.com/. Just heard from my publishers that NOBODY’S SON has gone straight to 2 in the Chart at iBooks! Fantastic. Very excited that Nobody’s Son is out today. Thank you for all the lovely emails, Facebook posts, and tweets. Part 1 e-book of Nobody’s Son is out now. Part 2 will be out on 16th February. The whole e-book, paperback and Audible on 23rd Feb.
Just heard from my publishers that another of my books will be translated into French. Fantastic! So many of my readers in France have been asking for another translation. The Girl in The Mirror will be published in France by City Editions. I’ll post again when I have a date. Training support and development (TSD) for new foster carers requires them to evidence their work. 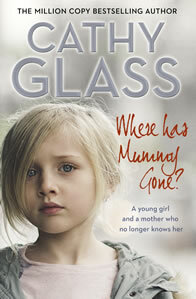 Some fostering agencies are now allowing their carers to include reading my books as evidence. Worth asking if you would like to do this too. Happy New Year: A tribute to my readers.